We make batteries for finned and non-finned resistors according to customer specifications, which include: channel and removable batteris and batteries for immersion in liquids. 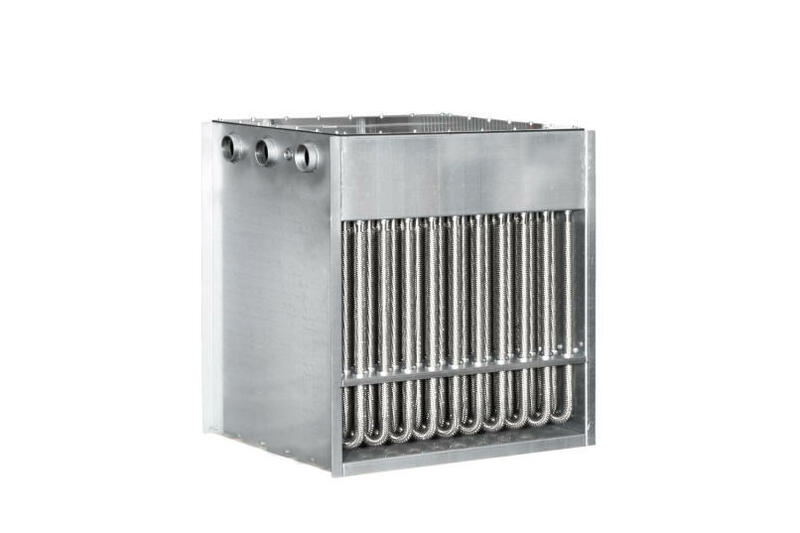 Available in carbon steel or stainless steel (AISI304, 316) with parts made of carbon steel, 304 stainless steel, 316L, 316L Seamless and Incoloy, and with FeZn or AISI304 fins, in the following diameters: Ø8/20-10/22-12/30-16/34mm. 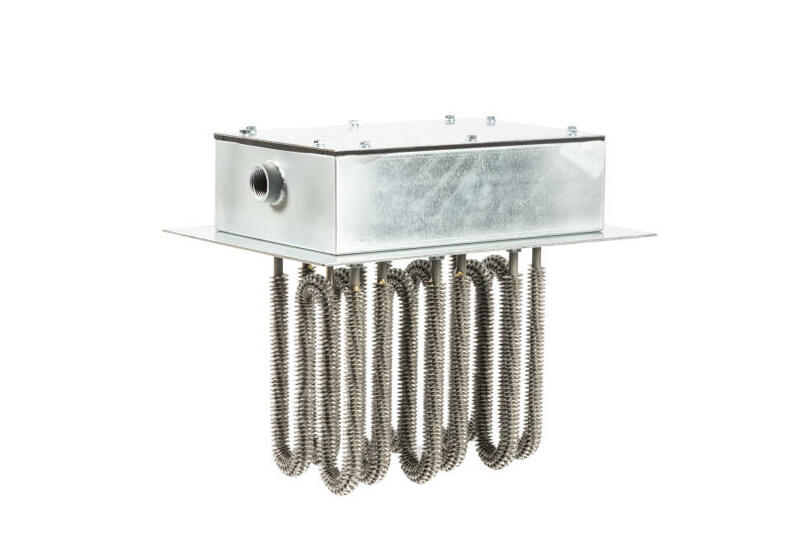 Naturally, they may be ordered with temperature safety and/or temperature adjustment controls, or may be made compatible with customer probes. Terminal housing with IP40, IP55, IP65 protection ratings and ATEX upon request. 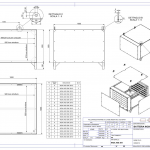 Frames for square, rectangular or circular cross-section channels. 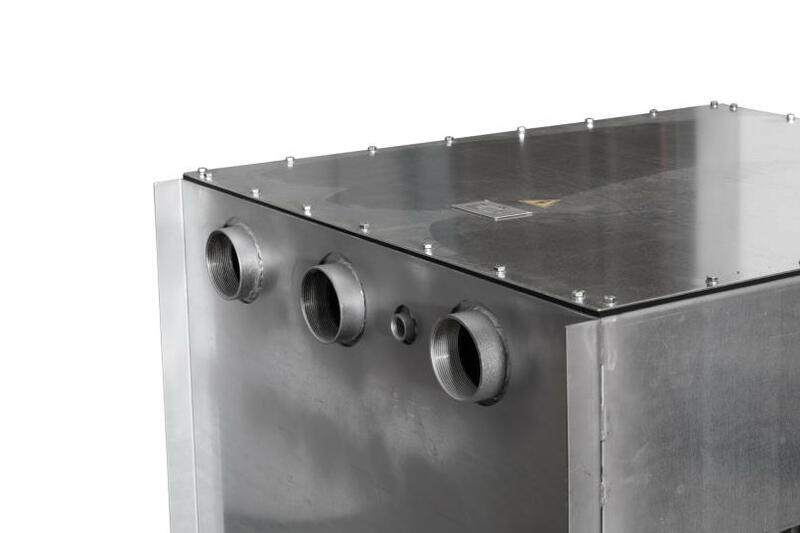 Our staff can help you choose the right heater for your application. Please contact us for any requests. For forced-air applications. 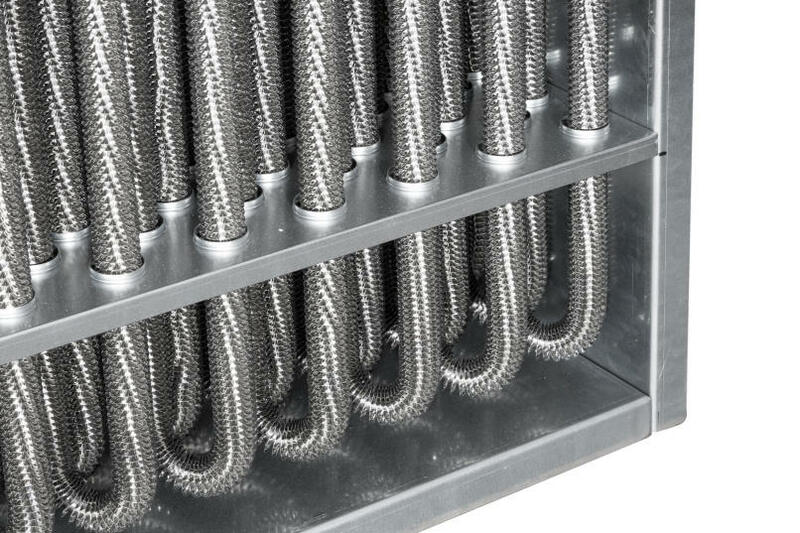 Frames usually consist of a flanged channel of a set size to be connected to the customer’s channels, and one or two electrical terminal boxes (terminal block), depending on the protection rating. Channels may be square, rectangular or circular sections and have finned or non-finned parts, depending on the application and temperatures. 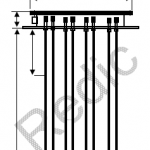 The terminal blocks can be spaced and insulated where appropriate, according to the working temperatures. For forced-air applications. 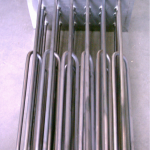 These frames are generally designed to be inserted in channels or existing applications in which the customer has an appropriate receiving sleeve. 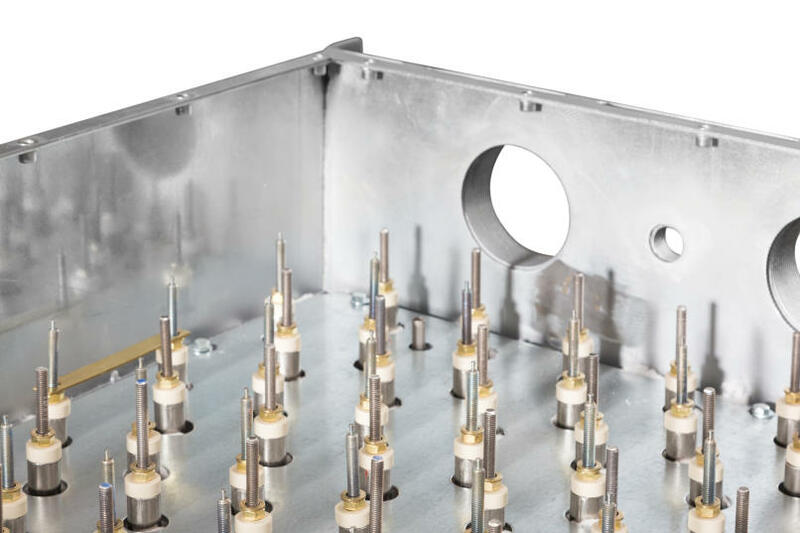 A primary flange is provided to connect the unit where the resistors are connected, as well as a terminal block, spaced and insulated where appropriate, according to the working temperatures. A frame or cage may be put on the inside surface. The resistors have finned or non-finned tubes. For use in liquids, usually with non-finned tube resistors. Designed to be lowered down into special tanks equipped with the designated counterflange receiver. 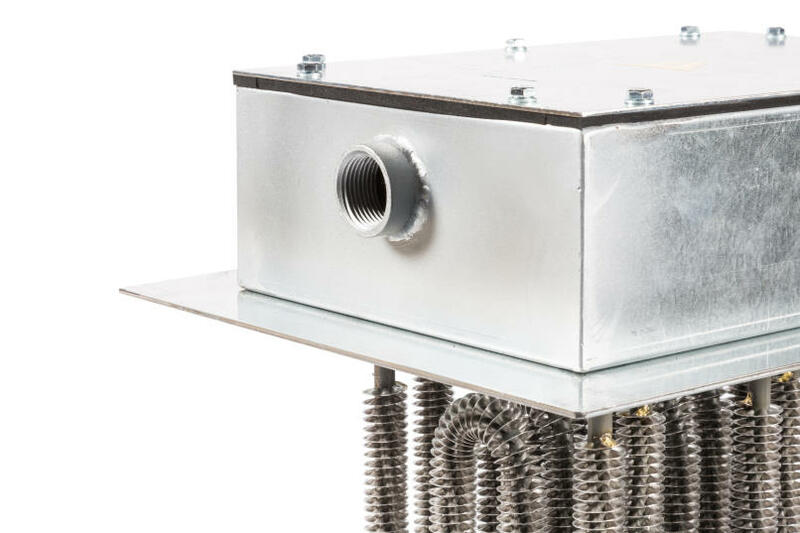 A flange to attach the main unit to the inside where the resistors are connected, and a terminal block, spaced and insulated where appropriate according to the working temperatures, are provided. For applications such as test benches, braking, etc. 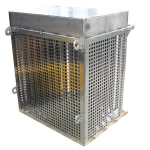 May be built onto a custom frame, with a cage supporting structure and safety grilles.